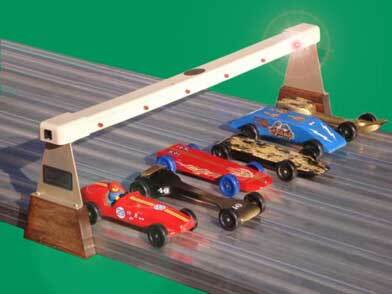 for Pinewood Derby, Hot Wheels, BluTrack, Soapbox Derby, and other racing formats. 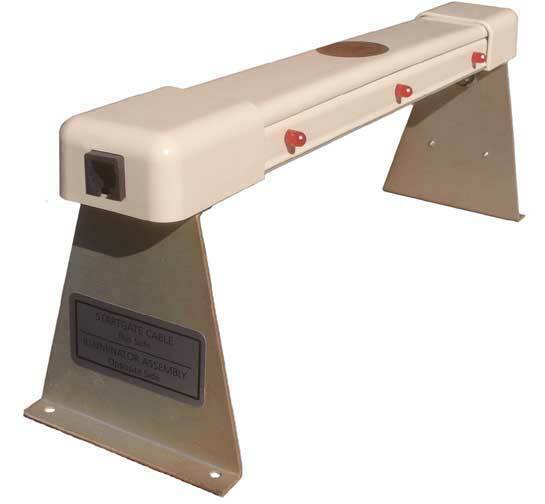 The Judge has two parts: The Display Bar that mounts over the top of the finish line, and the Illuminator Assembly that mounts under the track. The Illuminator Assembly generates a beam of infrared light in each lane, which is monitored by sensors directly above. When a car breaks the beam with its front bumper, the electronic circuits instantly display the results to your audience by the bright red lights in the Display Bar. The winner gets a steady red, the second place gets a flashing with 50% duty cycle, and the third place gets a winking with 5% duty cycle. The lights are bright, and easy to interpret across a large gymnasium. Display Light Code for The Judge: More Light = Faster Car. After displaying the finishing order for up to 20 seconds, the Judge resets for the next race with its distinctive "Light Show" During this period, it does a recount on active lanes, checks all circuits, and signals rediness by a continuous green winking light. This light also indicates the timer status. The car clearance, if mounted on the track's running surface is 3.1 inches. It may be raised up considerably (typically 4 more inches) to allow taller cars. We can supply blocks for this purpose. Basic prices range from $149 to $299. All Judges may be ordered with optional features which affect the price. These include two different timing capabilities called E.T., and Computer Option. If you hold your derbies outdoors, you will need Sunlight Max. In addition, you may order User-Settable Display Time, Push Button Reset, and Wall Transformer Option. And finally, you may specify your cabling details if you choose Computer Option. Judges are available in sizes from 1 lane to 8 lanes. Except for the width and lane spacing, they all look and function the same. Each Judge is custom built to fit your track, although we stock certain sizes to fit popular tracks available on the market. We call these Judges Standard, not because they are recognized by any organization as such, but because we pre-manufacture the enclosures in quantity. This allows a cost savings which we pass on to you, as well as faster response to orders. We know the lane spacings of all commercial tracks, so if your track is commercial, you need only specify the manufacturer, number of lanes and length. If your track is Home-Built, you must supply dimensions. Sometimes the lanes of Home-Built Tracks are not perfectly uniform and symmetrical. In that case, we customize the Judge to place the sensors directly over the lane centers, but need exact dimensions from you. First, make a little mark in the exact center of each of your lanes at the finish line. Use a ruler, because wood grain tends to fool the eye. Then hook your tape measure on the LEFT edge of the track deck. LEFT means LEFT as the driver of a car would define it. Lane 1 is his leftmost lane. Without moving the tape measure, read off the distance to each of your marks. As a final dimension, measure all the way to the right edge of the track deck. By taking all dimensions from a common point, you don't accumulate errors. Of course, you may discover that the carpenter has made a perfectly uniform track, in which case, just the center-to-center distance between lanes describes it all. If your track has unusual features such as side walls, we need to know this. Photos sent by email are often very helpful. E.T. is a digital stopwatch built in flush to the top surface of The Judge, and gives the elapsed time of the winning car, not all lanes. E.T. gives resolution of 10 or 100 microseconds (your choice). E.T. 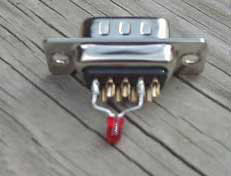 comes with a magnetic switch that you mount to your start gate to provide the time = zero signal. You also get a cable to run the length of your track. The cable plugs into a socket on The Judge. By sending the same car sequentially down each lane, it gives you a sense of how "equal" the lanes are, so you can spot problems and do something about them. It allows you to hold "qualifying heats" prior to the main event, giving you a basis for ordering the derby heats. By matching slow against slow, and fast against fast, you get more exciting races. It allows serious entrants to test various theories and techniques for how to polish the wheels and place the weights. Really fast cars are no accident, and pursuing the ultimate appeals to many young inquiring minds........their dads, too. Make the E.T. equipped track available for a few weeks before Derby Day, and watch something really interesting unfold. 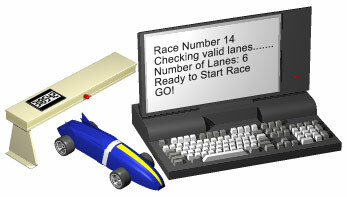 When you order Computer Option, you have the ability to see the complete results of each race come up on your computer screen exactly as shown above in free terminal programs such as Hyperterminal, or PUTTY. Once you achieve your settings, save and place a Judge shortcut icon on your desktop. Then, when your computer is turned on, you are only one mouse click away from the derby. But the best part of Computer Option Timing is that once the data from the Judge is sent to your computer, the sky's the limit! If you are a programmer, you can make your own program to parse the incoming message, combine it with the boys' names, and integrate it into your methology to determine the fastest cars. You can create the entire race schedule, assign lanes, keep track of individual or group times, show scale speed, show who is on deck for the next race, and many other things. You are limited only by your imagination. These software packages are also used for Space Derby races. Click icons to learn more about each. Note 1. These software packages are designed for PC use, operating systems Windows XP and later. Note 2: Software support must be obtained directly from the respective authors. Software is not returnable or refundable. 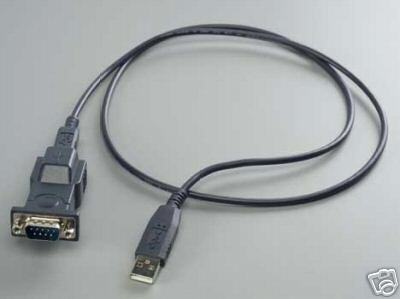 When you get Computer Option, you will need communication from The Judge to your computer, and also to the start gate switch, We can supply these cables in configurations to suit. The most popular cable configuration places you with your computer near the start line, where you can be conversational with the persons setting the cars. There might be some price adjustments necessary for unusually long cables. The Judge communicates with your computer through the Serial Port (the nine-pin connector on the back). Most new laptop computers have USB ports only, rather than serial ports. This is important, but it is not a problem. Your local computer store can supply a USB-Serial interface converter. We supply a CTG Model 26886 at $29, which we find to be reliable..
Is it my computer that is not set up right? Or is it in the Judge or the cable? This simple and inexpensive device anwers that question. Unplug the serial cable from your computer and plug this tester in the end of the cable. Every time you power up the Judge you will get a distinctive series of flashes, lasting about 4 seconds, from the red light . Also, you will get a double light show, rather than the single light show displayed during power up. If you get the blinks and the double light show, you know the Judge and cables are fine. Then you can concentrate on your computer set up. Highly recommended. 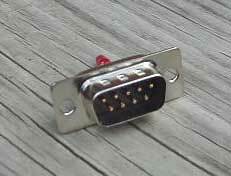 Allows the Serial Cable to be positively attached to the Junction Board Socket. We recommend and provide non-locking sockets on the Junction Board to prevent accidental damage to the Junction Board or the Computer. Pinewood is an exciting time, and the kids tend to run around a lot. It unfortunately happens that a cable gets gets tripped on, either damaging the Junction Board, or worse, yanking the laptop to the floor. Without the screw locks, if the cable is accidently yanked, it will simply disconnect. 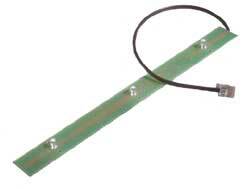 But if you are interested in securing the cable to the Junction Board, this what you need. The sensors of Sunlight Max are high performance photodiodes with active elliptical filtering. They have the ability to detect and respond to a unique code contained in the specially generated light. They ignore other competing light sources, and work even in full sunlight. 2. They are more power efficient, allowing battery operation three times longer. All Judges automatically reset after displaying the race results to your audience for 22 seconds. Most people think 22 seconds is about right. There are two reset details that you may consider to customize your Judge. These extra cost choices are independent. You may order either one or the other, or both for $16. * User Settable Display Time $10 You may set the display time to your choosing from 8 to 22 seconds, to adjust the pace of your derby. * Push Button Reset $10 The push button, mounted on the top surface of the display bar, will cause an immediate unconditional reset. You can also enter the Manual Mode, in which the display lasts indefinitely until you reset. If you get the push button reset, you will still have automatic reset capability. If your Judge has Computer Option installed, the Judge can be reset by sending a reset command to it from your computer. Derby management programs use that method, and give you the ability to set your desired display time. By purchasing the Push Button Reset option, you have the ability to over-ride the 22 second automatic reset, and set it to longer values under computer control. All Judges work on three AA size batteries which you insert into a battery holder on the left support bracket. At extra cost, you may get the Wall Transformer Option which will allow you to use 120VAC house current as well. Battery operation is great because there are no cords running around the floor to trip over. But if your track is set up for many days or weeks each year, then Wall Transformer Option makes sense because it soon pays for itself in terms of battery cost. A single set of batteries will power a 1 or 2 Lane Judge for 20 hours, a 3 or 4 Lane Judge for 12 hours, a 5 or 6 Lane Judge for 8 hours, and a 7 or 8 Lane Judge for 6 hours. Wall Transformer Option is recommended for 8 lane Judges with normal indoor sensors. Judges having Sunlight Max sensors will operate on batteries about three times as long as those having normal sensors, and this 8 lane recommendation does not apply. 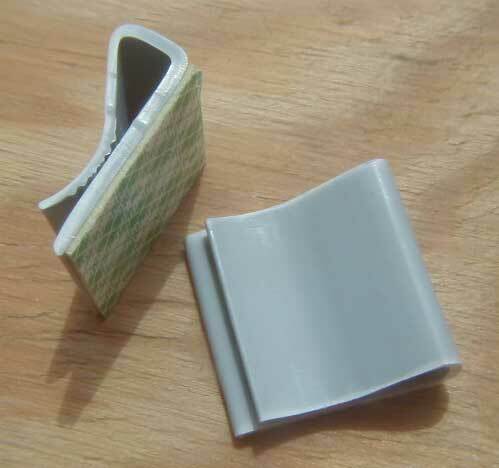 If you lose your wall transformer, we can replace, or you might find one locally. 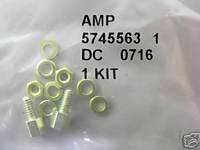 The plug is 2.1x5.5mm, center positive, any voltage between 6 and 35VDC. The Judge is IEEE Compliant and not fussy. BestTrack Customers: See important note regarding finish line illuminators HERE. 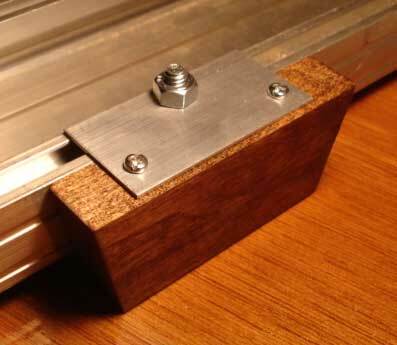 The BestTrack is too narrow to mount The Judge on the running surface, so the width needs to be extended by attaching these hardwood mounting blocks to the edges of the track. The attachment is made by drilling pilot holes in the track using the holes in the block as a guide. These blocks are included at no cost. 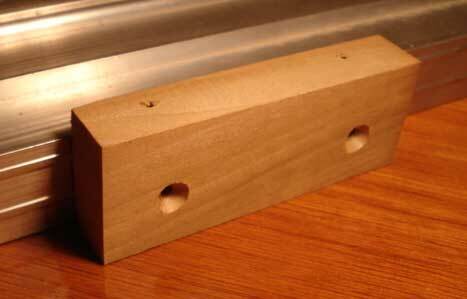 We also offer premium BestTrack mounting blocks. These are trapizoidal, cut to match the angle of the Judge side panels. They are offered in three different clearance heights. They require no tools, Finger tight on a single bolt is sufficient. 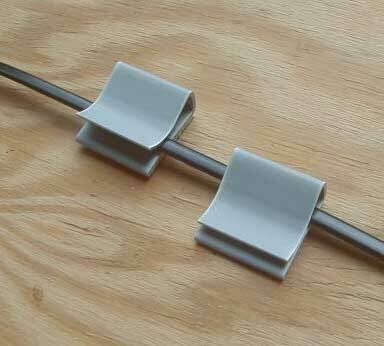 Avoid cable damage by dressing neatly along the bottom of your track using these versatile PVC clamps. Simply peel off the wax paper backing and press into place. We suggest 3 clamps per track section. As shown at right, you may anchor by clamping cable directly, or allow the cable to slip through. Highly Accurate. Perfect for weighing Pinewood Derby Cars! Small Size: 3" x 5" x 1" Car wheels hang in air on either side. Tare Function: Zero out weight of cup, basket, etc. Use as Kitchen scale the rest of the year.